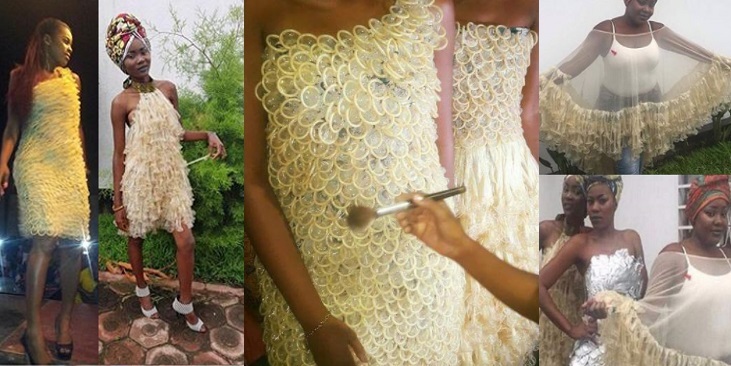 A Congolese fashion designer is promoting safe s3x with a collection of clothes made of condoms that she hopes will help combat HIV/AIDS in the central African country. 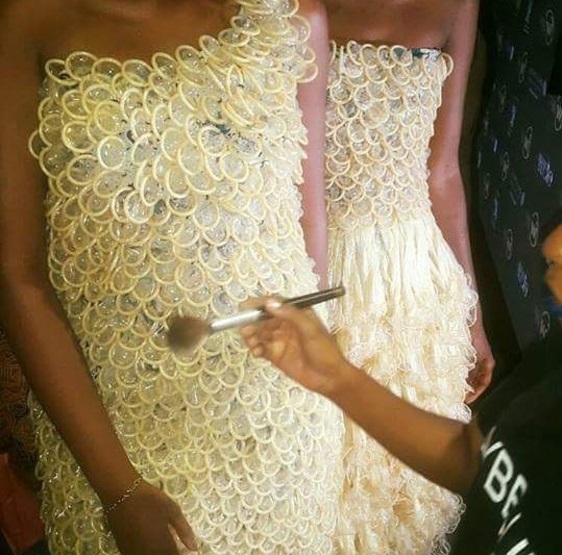 Felicite Luwungu started making her condom line, which includes strapless evening gowns and tops, after the HIV/AIDS epidemic hit close to home. A model poses in a dress made of condoms by Felicite Luwungu in Kinshasa, Democratic Republic of Congo, Dec. 5, 2017. Luwungu, 40, displays her work in runway shows and exhibitions. When she finishes the condom collection, she plans to present it at a large fashion show next year.